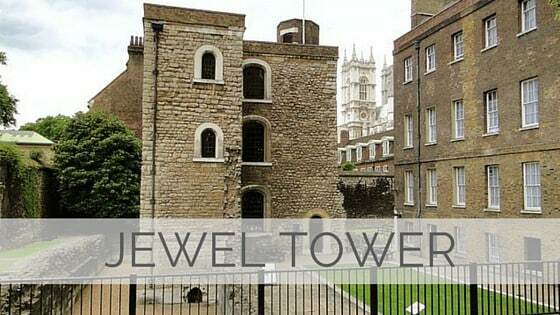 The Jewel Tower is a 14th-century surviving element of the royal Palace of Westminster, in London, England. It was built between 1365 and 1366, under the direction of William of Sleaford and Henry de Yevele, to house the personal treasure of Edward III. The tower, a three-storey, crenellated stone building, occupied a secluded part of the palace and was protected by a moat linked to the River Thames. The ground floor featured elaborate carved vaulting, described by historian Jeremy Ashbee as "an architectural masterpiece". The tower continued to be used for storing the monarch's treasure and personal possessions until 1512, when a fire in the palace caused Henry VIII to relocate his court to Whitehall.